Quality servicing in Droylsden at highly competitive rates. If you are postponing car service because you have no time to take it to the dealer, you are probably unaware of better options. There is no need to wait for an appointment, take two trips to the dealer garage or pay high prices. You can use a trustworthy local garage that offers high-quality service at cheaper rates. 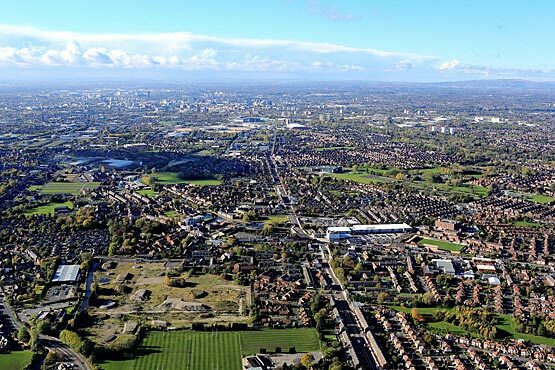 If you are looking for car service in Droylsden, we can help you find the right garage. With our service, you are spared the trouble of looking for or dealing with a garage. You can book your service right away by completing and submitting the online booking form on this page. We have a network of garages and we will assign your service request to the garage that specialises in your vehicle brand. They have the right equipment and manufacturer support to provide excellent service. The garage will call you to fix a time and location to collect and deliver your car. We have already negotiated the prices of standard services and you will get the price upfront. The service team will contact you after your vehicle arrives at the garage. They will explain the nature of the service that is going to be performed. They will inform you if any additional work is required. Additional work involving extra cost is done only after your approval. You will know the extra charges upfront. So, there will be no surprises when you get the bill. Our standard services include car washing and cleaning. If your car is equipped with a service light, it will be reset. 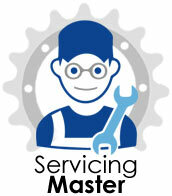 You will also get a serviced stamp on your service booklet for maintaining your service history. When the garage returns your car, you can use PayPal or your credit card to pay online. You are saved from the trouble of visiting the garage in person. You will get a service that is as good as the main dealer without the hassles. Our network garages offer service according to the manufacturer-specified service schedule, which is available in your service manual. Regular servicing is the best way to ensure that your car or van runs smoothly and continues to perform like a new vehicle. It is also essential for safety and makes it easier to pass your MOT test. Depending on age and usage, your car may be due for minor, interim or major service. According to UK regulations, all vehicles must pass an annual MOT test. The test ensures that your vehicle is roadworthy and meets the minimum required safety and emission standards. Besides performing all types of car and van servicing, we also perform MOT tests. As your vehicle ages, it may need occasional repairs besides regular servicing. We arrange all types of major and minor car and van repairs. Here are some repair jobs that we undertake. Cleaning the diesel particulate filter: The diesel particulate filter traps soot and other particles from the exhaust gases of diesel vehicles. Over time, these contaminants accumulate in the filter. They have to be removed or burnt to keep the filter functional. Gearbox repairs: If your gearbox is malfunctioning, it can result in a total breakdown or make your vehicle difficult to drive. 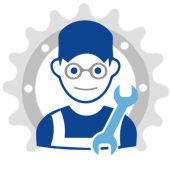 Our network garages have the expertise to do all types of gearbox repairs. Steering and suspension: With time, the steering and suspension of your car can wear out. This results in impaired control and poor stability and comfort. Components of the steering and suspension have to be repaired or replaced to ensure safety and comfort. Our network garages also perform other types of repairs such as cambelt change, brake repairs, clutch replacement, head gasket replacement and exhaust repairs. We also offer the services of mobile mechanics to troubleshoot and fix minor problems on the road. Van or car servicing in Droylsden is now easy and convenient. Just complete and submit the booking form and we will take care of the rest. You will get convenient high-quality service. Instead of paying high prices at the dealer garage, book your service now to get easy and hassle-free car servicing at competitive prices.